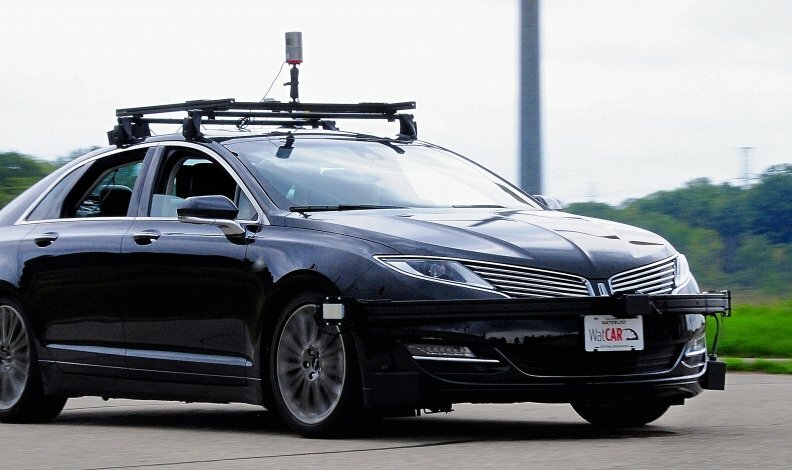 The University of Waterloo's "Autonomoose" driverless car has been testing on Ontario roads for months. TORONTO — Ontario drivers could soon find themselves motoring along the highway next to a car with no one in the driver's seat. The province's Liberal government is proposing to change the rules of its 10-year automated vehicle pilot project to allow for driverless testing. Currently, the testing of fully autonomous vehicles is only allowed with a driver behind the wheel, but the government is seeking public comment on a proposal to scrap that requirement. "Ontario is well-positioned to be a global leader in the development, testing and deployment of connected and automated vehicles and is taking steps to secure that role," Transportation Minister Steven Del Duca said in a statement. The province was the first jurisdiction in Canada to allow on-road testing of automated vehicles when the pilot project launched in 2016. There are currently seven participants, including BlackBerry's QNX, Magna, Uber and the University of Waterloo. A Highway Traffic Act exemption would be introduced to make the driverless testing legal, and participants would have to meet certain conditions, such as having a law enforcement interaction plan and vehicle communication with a remote operator. The government said when its original pilot launched that the requirement of a driver was a safety measure in case a person needed to take control over an automated vehicle if "an unexpected event occurs." Tuesday's statement from Del Duca didn't specifically address the proposed change or safety measures, but the government proposal says allowing driverless testing "will ensure that Ontario's AV testing regime is responsive to the needs of industry, while maintaining road safety and aligning with other jurisdictions, as well as aligning with Ontario's broader transportation goals." The proposal also would allow the testing of platooning, which is when vehicles — particularly commercial ones — with smart technology communicate with and closely follow one another. "Preliminary research suggests that platooning may lower fuel consumption, reduce greenhouse gas emissions, and help to improve road safety and efficiency," the government writes in its regulatory registry posting. "This proposal would more closely align Ontario with other jurisdictions that currently permit commercial vehicle platooning, and respond to industry interest." Ontario is earmarking $80 million over five years to establish the Autonomous Vehicle Innovation Network project to support industry-led research and development, including a demonstration zone in Stratford.